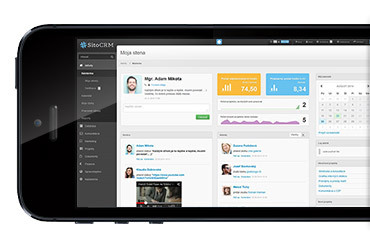 Communicate with customers using Sito CRM. A CRM – Customer Relationship Management – is a system for managing your customer database. A system, which is on its way to become a common and an essential part of every company. The principal benefit of Sito CRM is to show a clear view at customer relationships, improve organizational processes, archive and monitori the development of communication and business opportunities within the company. One of the main advantages is that each employee can simply look at the history and development of communication, trade, order status, billing or customer complaints. Sito CRM has been created specifically for the Slovak market. More information at www.sitocrm.eu (in Slovak).